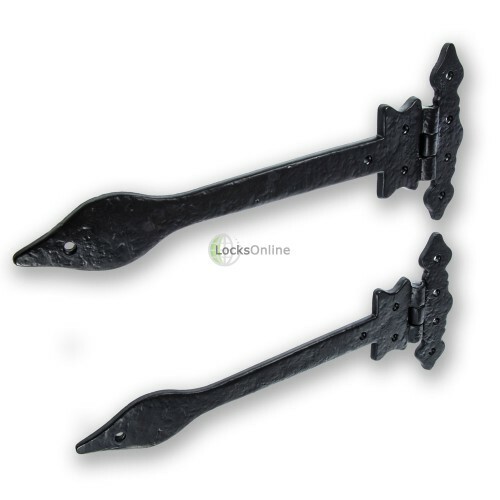 This attractive and stylish Black Antique Decorative Door Hinge is ideal for adding some interesting detail and architectural features to your door. The bar of the hinge extends out across the door from the frame with a gently tapered style, before opening out again into a leaf shape at the head. 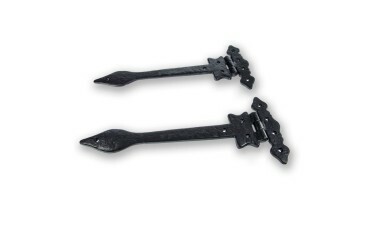 On the frame side of the hinge, the bracket features similar shaping at the top and bottom of the bracket. These hinges sit on the surface of the door and frame, and we'd suggest using them in addition to standard hinges on your door, as a decorative feature. 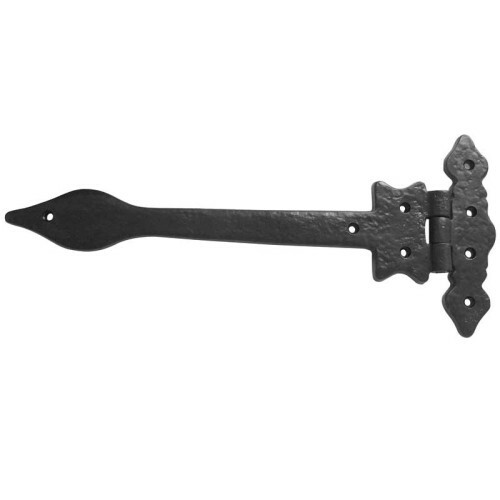 The black antique finish is further added to by a hammered texture along the whole length of the hinge and the bracket, giving this piece a traditional and rustic appearance. 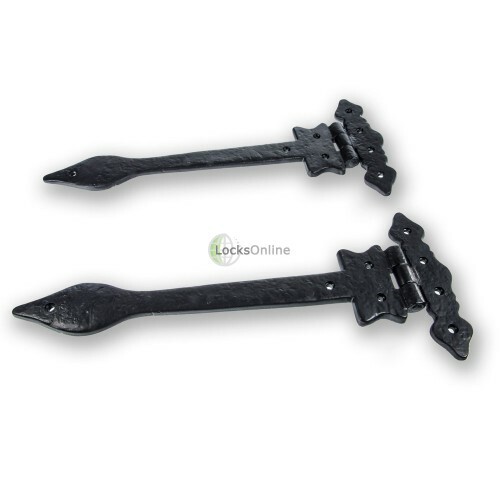 Supplied as a pair, these hinges come with all necessary fixing screws, also in a black antique finish, making installation straightforward. The overall length of the hinge from the centre of the hinge mechanism to the end point of the bar is approximately 300mm. They are ideal for adding a touch of rustic charm to your front door, a stable type door or even doors within a barn conversion or church hall.